Count on the man who portrays hall-of-fame TV dad Jack Pearson on This Is Us to spot another awardworthy partner. 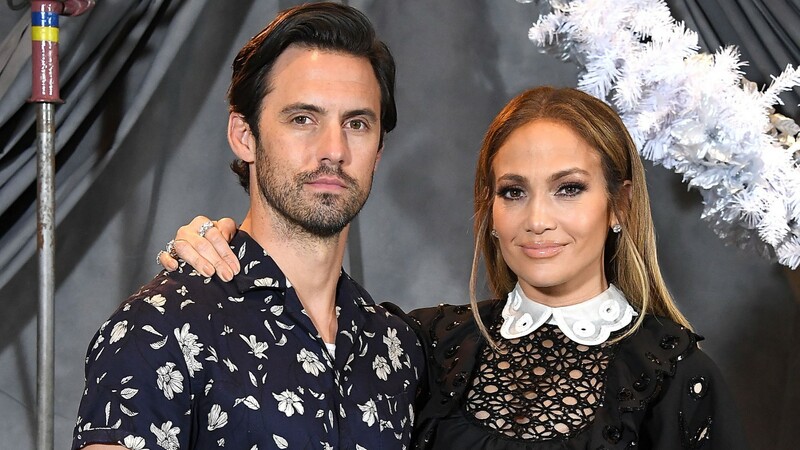 Earlier his week, Milo Ventimiglia commented on Jennifer Lopez and Alex Rodriguez’s relationship to Us Weekly, not only giving the celeb couple his seal of approval but singing Rodriguez’s praises as a partner to Lopez, who costars with Ventimiglia in the new movie Second Act. And those aren’t the only kind words Ventimiglia has said about Lopez to date, either. Speaking with Entertainment Weekly in August, he insisted he wasn’t intimidated about filling big shoes as Lopez’s on-screen partner, given that some of her previous on-screen love interests include Alex O’Loughlin, Ben Affleck, Ralph Fiennes, Matthew McConaughey and George Clooney. And while Ventimiglia didn’t feel anxious to slide into that role, he did feel a sense of “duty and responsibility” to make the relationship real out of respect for his and Lopez’s friendship. That loyalty could very well have stemmed from Lopez’s dogged determination to get Ventimiglia in the role (she’s a This Is Us fan too!) — according to Ventimiglia, his initial call about the project was to inform him that Lopez only wanted him for the part. After managing by some miracle to carve out a few days from his busy This Is Us production schedule, Ventimiglia made it to set and quickly realized any scheduling struggles were worth the hassle.